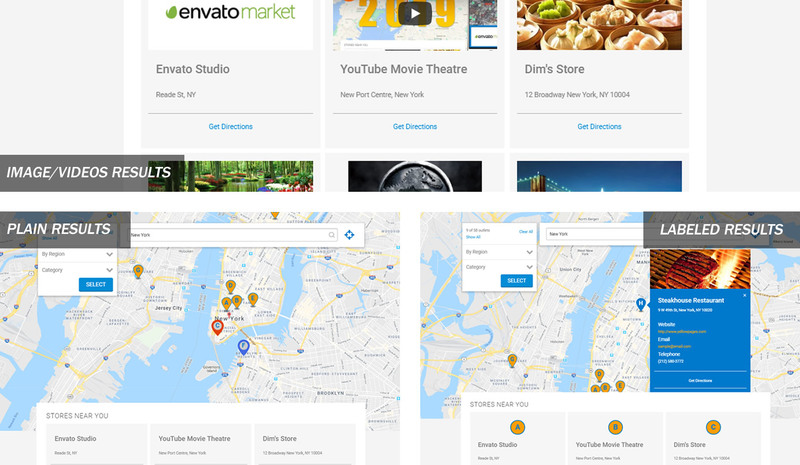 Super Store Finder for WordPress is a fully-featured store locator WordPress plugin integrated with Google Maps API v3 that allows customers to locate your stores easily. Tailor-made with intuitive responsive design for smartphones, tablets and touch screen devices. 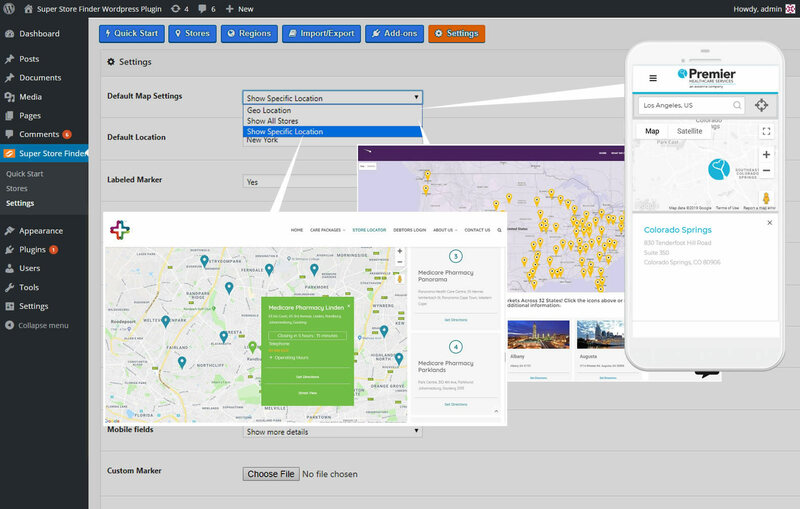 It has powerful administrator that allows you to manage stores, tags/categories and customize styles, colors, labels, notifications, regions and map settings. Setup is really easy and quick (Refer installation guide documentation here and our world-class support is always reliable and fantastic. This plugin is compatible with Visual Composer and Cornerstone. 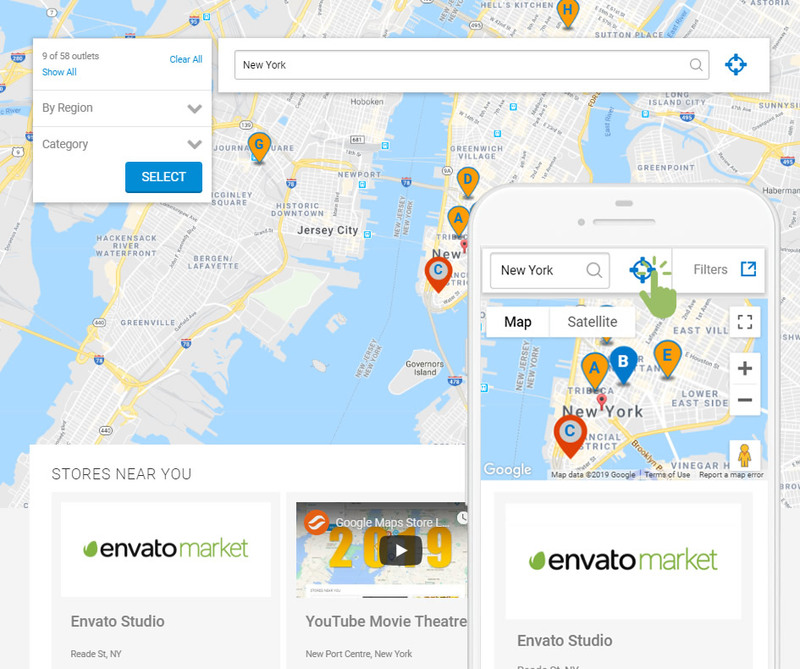 Super Store Finder for WordPress has intuitive responsive design with the highest aesthetic and is tailor-made for mobile and touch-screen devices. 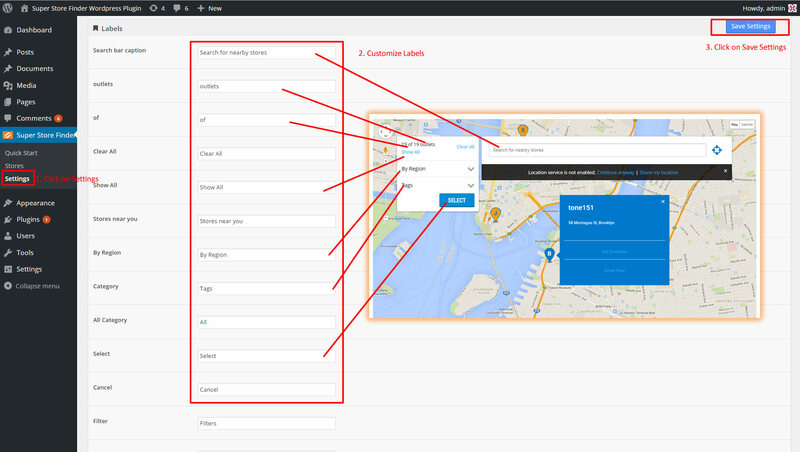 Multiple store locator design layouts are available which can be changed from admin settings page. 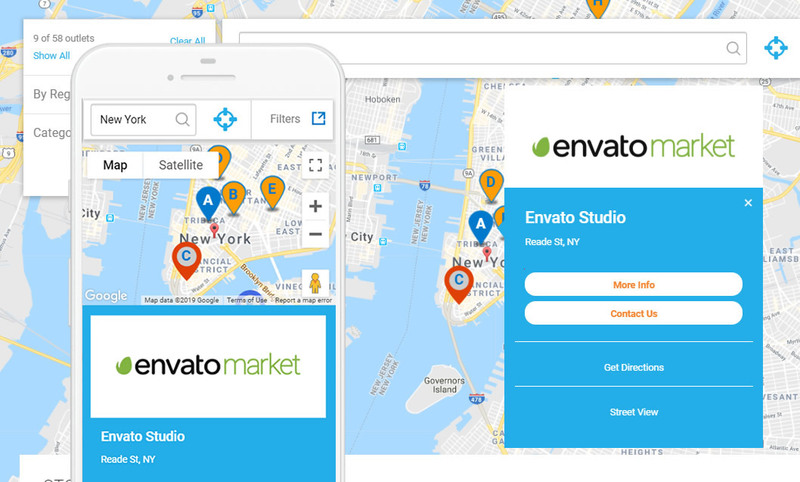 Manage your stores, tags, styling, map settings, labels, captions, regions, etc via powerful store locator admin. 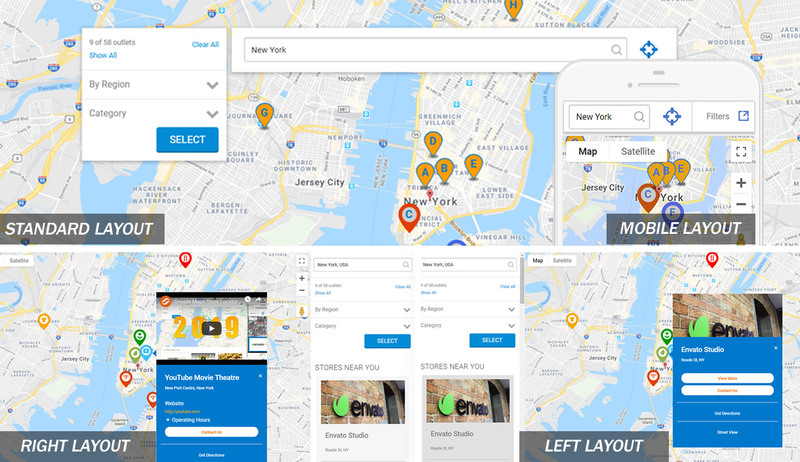 Super Store Finder is built-in with exact Geo Location which allows your customers to route and get to your store outlets the easiest way. Slick Collapse-able panel to showcase available categories/tags and available regions which can be fully customized via admin. 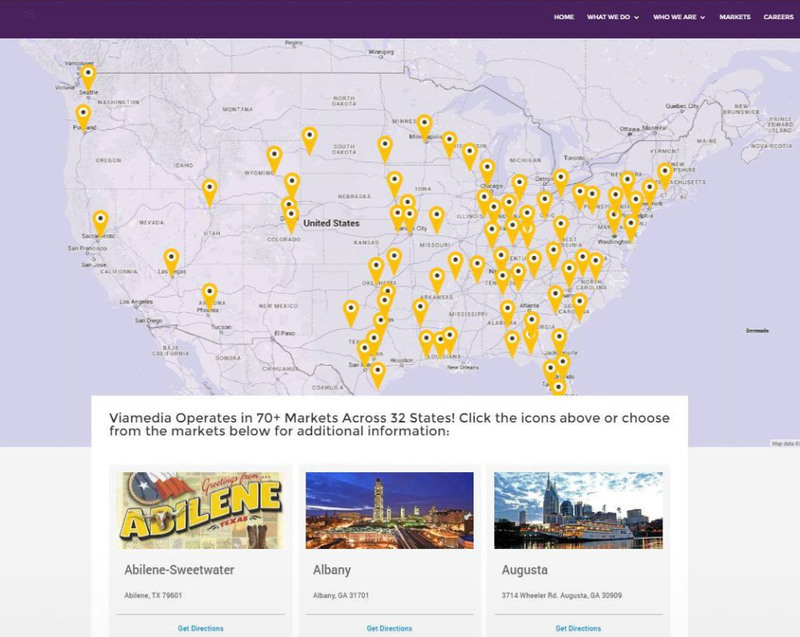 You can upload beautiful images that will be displayed on your ever engaging store locator. You can embed videos from YouTube, Vimeo, etc. to your store locator. Get customers to watch what you have to offer or let them watch a sneak peek trailer. Have your own custom markers? Now you can simply upload custom markers via administrator. 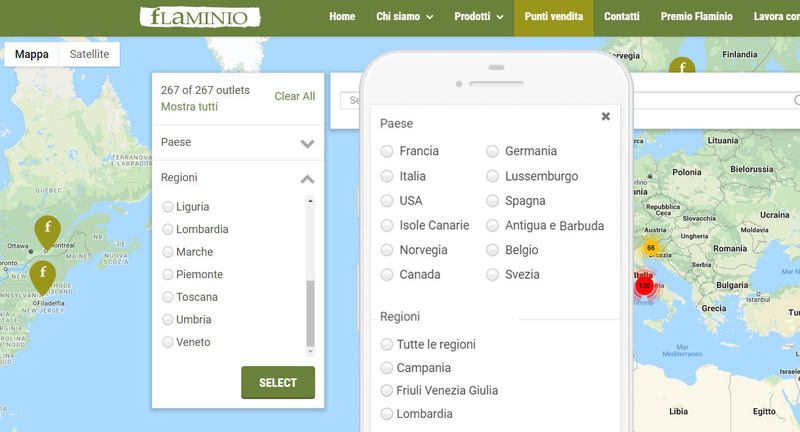 You can now search stores by region world-wide. 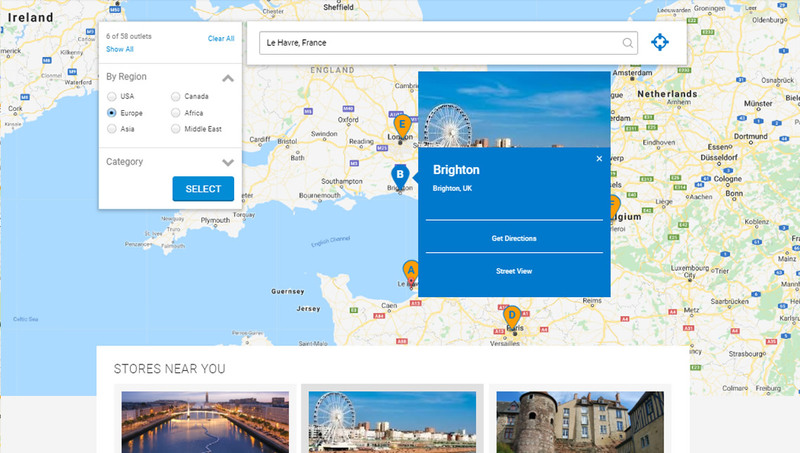 As an administrator, you can customize point of interest which you can set for your customers to quickly know on your whereabouts. 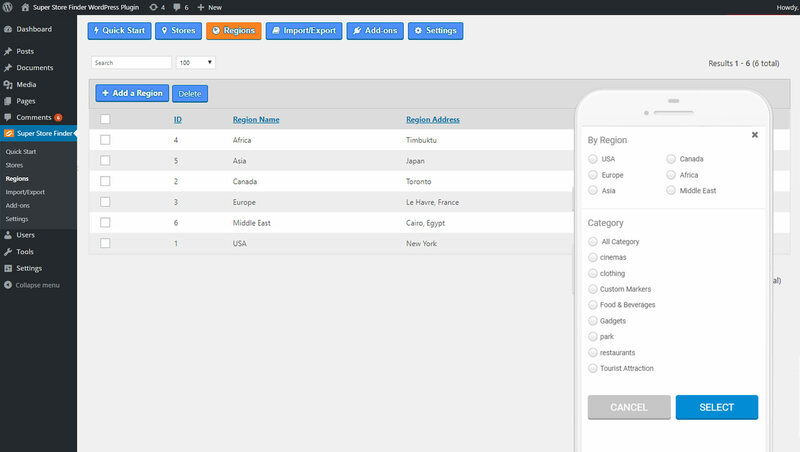 You can import and geocode bulk address list from csv file without any hassle via the administrator. For precise latitude and longitude position, you can drag and drop the markers to pin point the most exact location of your stores. For instance, if you would like to showcase clinics, you can customize the labels and captions to suit your store locator via admin settings. Customize Colors and Styles for your store locator to suit your company and website branding / corporate branding. 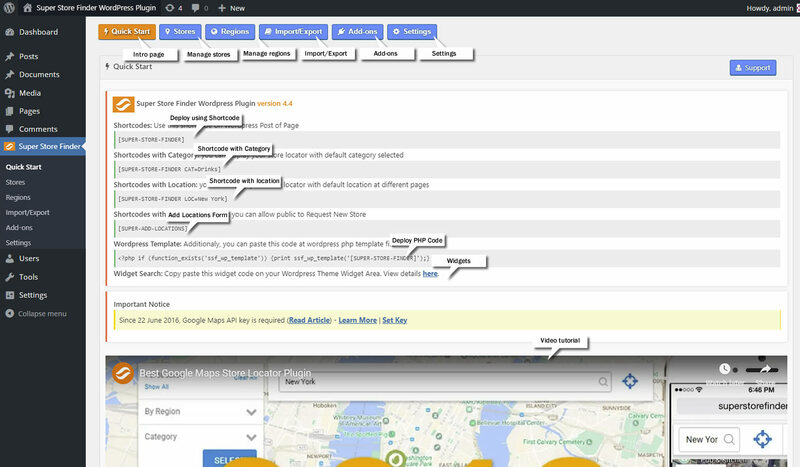 You can change the map color, panel colors, text colors and many more from the administrator’s panel. 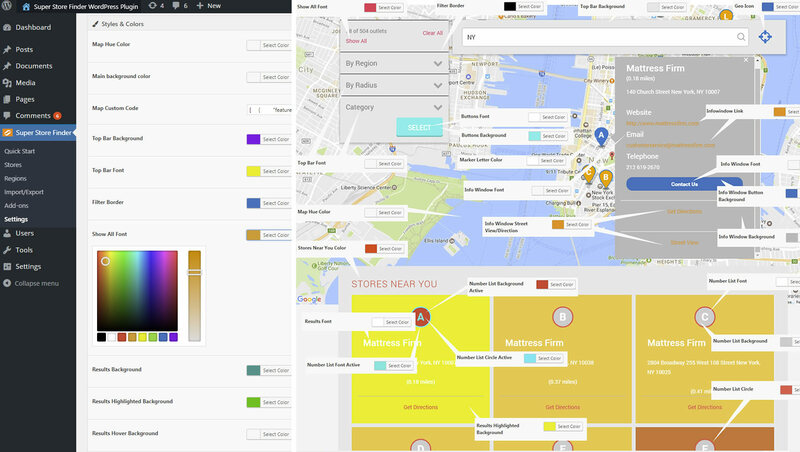 Need a map style that suits your website user interface? 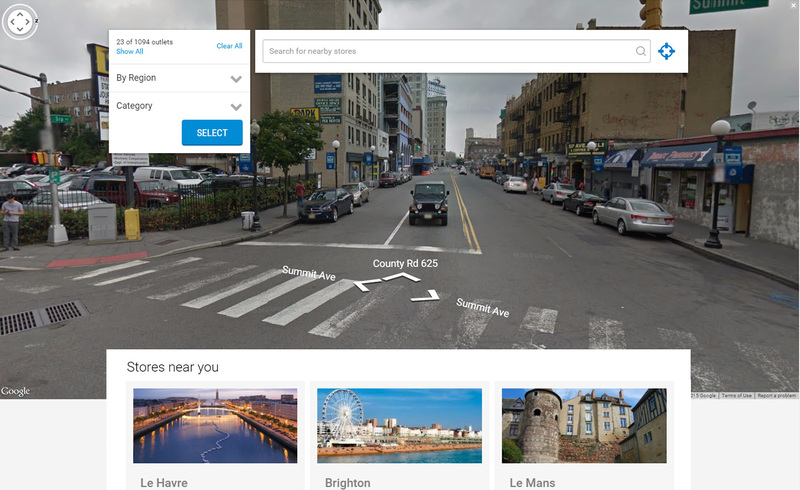 You can use custom Google Maps code, or easily get great available style codes from snazzymaps.com and copy/paste it via admin settings page. 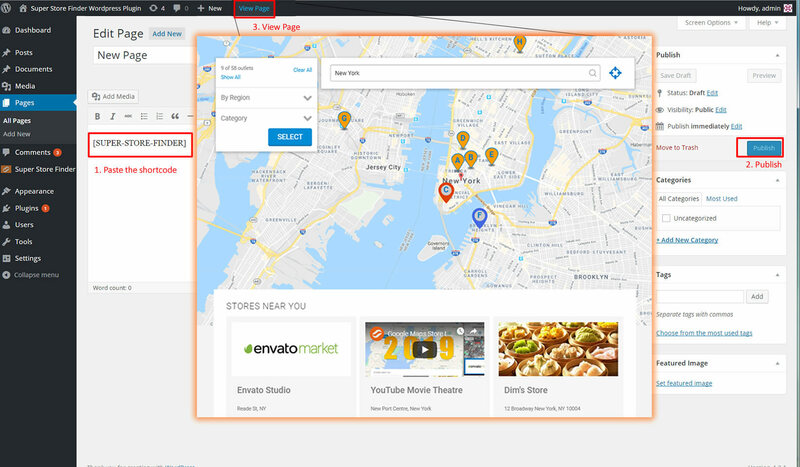 Extend your WordPress store locator features using available add-ons as below. We provide fast and reliable support to our customers, whether its an inquiry, troubleshooting, customization and special requests. If you need help with installation, just send us a message via our profile page here. You can find more reviews from real buyers in testimonials page. More real world examples available here. Please note that all store finder designs are copyrighted by their authors. If you wish (or don?t wish) your site to be listed here, please send us a message. Added compatibility of Opening Hours collapsible icon with minor WP themes. Notice: Upgrade instructions available here. Added drag and drop marker that will auto detect latitude and longitude in add/edit store.